Trump inadvertently confirms that a federal warrant was issued allowing counter-intelligence officials to look at members of his campaign. Earlier this morning, Trump launched a flurry of tweets lashing out at President Obama, accusing him of wire-tapping his phones in Trump Tower. Nothing too outstanding, considering that he is known for his childish Twitter tirades. However, one tweet in particular caught my attention because he specified the month of October in it. Indeed, I called several friends telling them that something must have happened in October that has Trump concerned. As it turns out, Mensch launched a website called Heat Street last year that is owned by Rupert Murdoch’s News Corp which owns Fox News. As we learn from subsequent tweets, she is referring to an article she published for Heat Street last November alleging that the FBI was granted a FISA warrant covering his campaign’s ties to Russia. 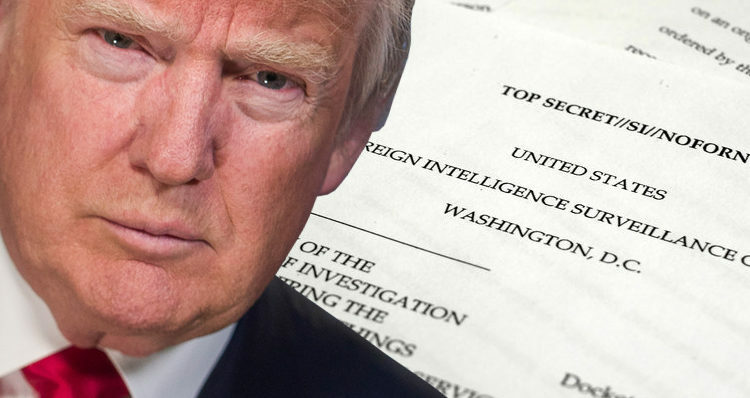 Pursuant to FISA, the Court entertains applications submitted by the United States Government for approval of electronic surveillance, physical search, and other investigative actions for foreign intelligence purposes. Most of the Court’s work is conducted ex parte as required by statute, and due to the need to protect classified national security information. If a FISA warrant was issued, it does not necessarily mean that the court considered any U.S. persons as literal ‘spies.’ I can imagine an argument having been made that there was probable cause to believe they were “agents of influence” who were unwittingly being influenced by a foreign power. If the operation concerns suspected money laundering involving a foreign government, the FISA warrant could theoretically encompass U.S. persons in that limited context. A FISA warrant is authorization to collect evidence, not to arrest. This is huge; and, if it proves to be true, Trump may have just committed a near-fatal error by making that admission. And there seems to be every reason to believe her article. As she tweeted later today – both The Guardian confirmed her article and the BBC independently confirmed her allegations about the issuance of a FISA warrant. Additionally, The Guardian reported today on the connection between Trump’s tweet and Mensch’s article. Later an Obama spokesman, Kevin Lewis, issued a statement that did not deny there was a wiretapping but did deny that Obama ordered one. “A cardinal rule of the Obama administration was that no White House official ever interfered with any independent investigation led by the Department of Justice,” the statement said. On a lighter note, Mensch’s latest tweet at the time of publication of this article mocks Trump’s likely impeachment.